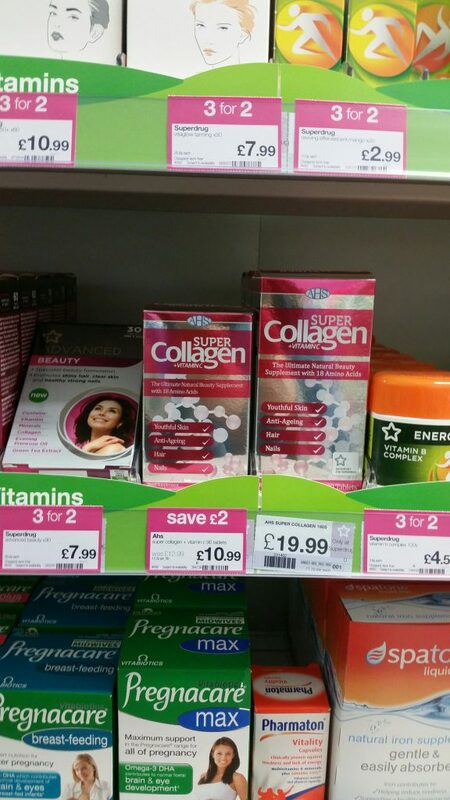 Above shows a series of images taken in Superdrug. 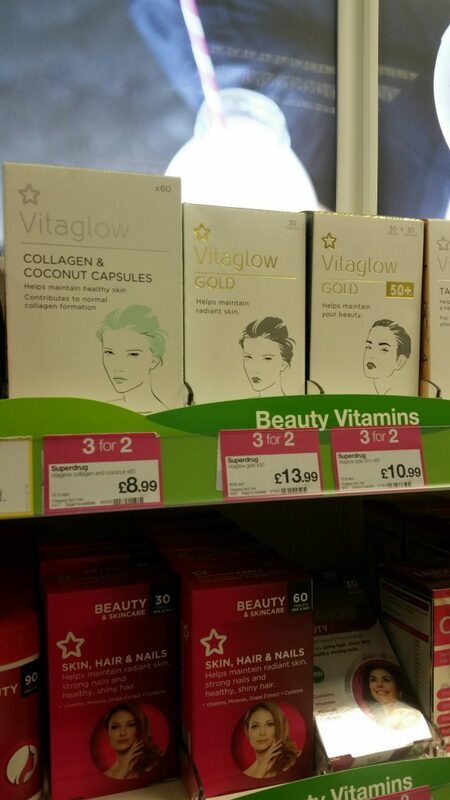 I noticed these products whilst browsing and felt that these were quite unusual to be seen in the UK. 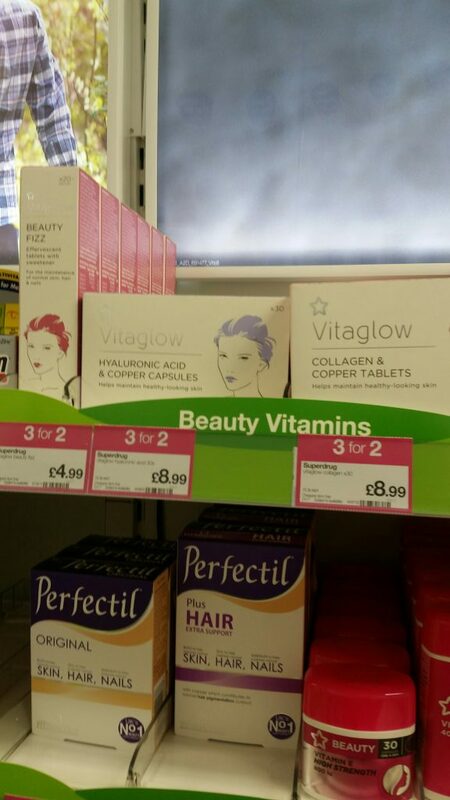 I have not seen any Collagen based products in the UK, only in Japan, and found it quite surprising that such products can now be bought here too, even if on a smaller scale. The packaging still denotes, anti-aging and younger skin benefits, the same as in Japan. I am unsure whether Superdrug are catering for an Eastern audience here, being in a multi-cultural city, or whether Western trends and culture will also be pushing this too soon. Other copywriting I found that was interesting is shown on the packaging above, “helps maintain healthy/radiant/beautiful” skin, alluding again to the idea that with these products you can be and can maintain beauty and youth for longer. I find that such products denote such copywriting for marketing strategies unknowingly giving the end-user/consumer an altered perception or idea of ‘what is beautiful’. 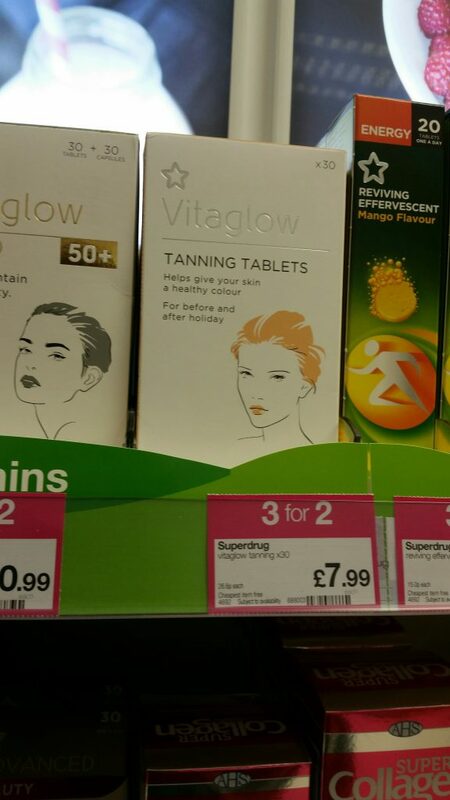 I also noticed “tanning tablets” which I found a major contrast to that of Japan and the skin-lightening products/tablets/masks/drinks available there to counteract tans, and found this representative of my practical work and the trends discussed throughout my book. 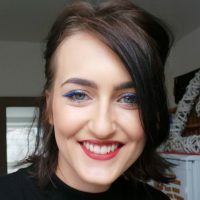 I felt that this really highlighted such different trends, and also emphasised the difference in cultures and ideals in regard to skin colour.